Maryann Cocca-Leffler is the author-illustrator of more than fifty children's books, including Janine., Princess K.I.M. and the Lie that Grew, and Theo's Mood. She majored in illustration at the Massachusetts College of Art and lives in New Hampshire with her husband and two daughters. 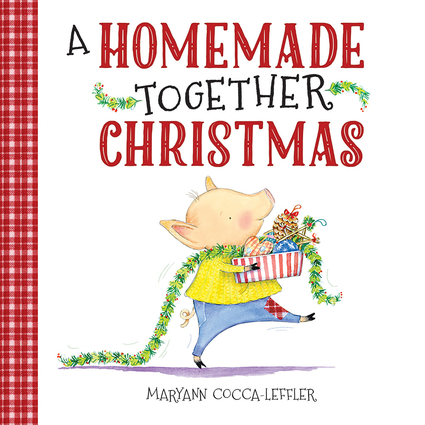 When not in her studio working on a new book, you can find her digging in the flower garden or visiting school.Maryann Cocca-Leffler is the author-illustrator of more than fifty children's books, including Janine., Princess K.I.M. and the Lie that Grew, and Theo's Mood. She majored in illustration at the Massachusetts College of Art and lives in New Hampshire with her husband and two daughters. When not in her studio working on a new book, you can find her digging in the flower garden or visiting school.